I recently updated my blog to include some of my older posts about my planner and after looking through them decided that an update was called for. I still use Erin Condren planners and notebooks and LOVE them, but my system has evolved since they introduced their Hardbound option. That was a game changer! Bonus... it's less expensive than the coiled. Weird, right? Since when do I prefer the less expensive version?! Here is what the current Erin Condren hardbound planner looks like now. 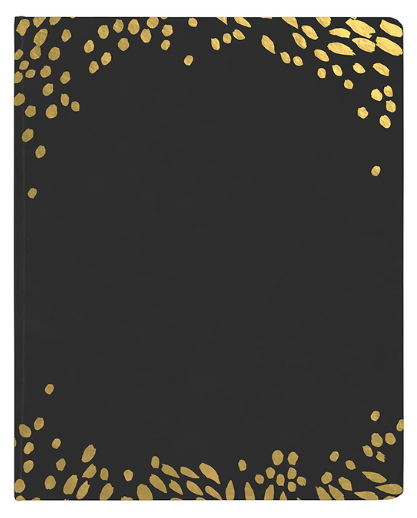 This is the Black (with gold "petals"). They also have Charcoal (with rose gold "petals"). At the time I write this, they offer two sizes. I chose the Large Hardbound since my planner pretty much lives on my desk. It is 8" x 10" and I love the extra space. To save $10 using my affiliate link, click HERE. My Hardbound Planner is one of the original designs and I chose "cherry blossom" as a cover option. This version also included 18 months of planner pages. (The picture above also features two of the hardbound notebooks which are perfect companions with my planner. I'll get into how I use those at a later date.) I chose not to personalize my planner, so the cover is plain, which I prefer. The notebooks are also not personalized because I had no idea how I'd use them when I purchased them. I wrapped the front and back cover in a strip of washi tape and wrote the subject title on the front. I like this option the washi can be removed. I was certain (certain, I tell you!) that I would go back to the coil after using my hardbound for a few months. Surprise, surprise, even with a 2018 coil EC planner in my hot little hands, I couldn't do it. I practiced in my coil planner from last year (since I jumped ship for the hardbound midyear) and found that the smaller boxes and coil were actually in the way. I mourned not being able to use some of the pre-cut decorative EC stickers, as well as not being able to change the cover, and accepted my fate: I was now a hardbound girl. Regarding the covers, I understand why EC went with Black and Charcoal as the options because this cherry blossom, while it's very clean and pretty... doesn't stay that way. The butter-soft cover picks up dirt thanks to the light color. Next time I can see myself purchasing the Charcoal, or whatever option is offered with the "color" pages inside. Here's a peek at the inside of my planner. I've tried to do "AM" and "AFTERNOON" and "PM" but that only works for me when I'm at a conference. So when I attend a conference (or go on vacation), that's how I split my day. With editor and agent lunches and dinners and late night parties, sectioning the week by blocks of time only makes sense. I like how the vertical layout allows me to switch it up for those events and then go right back to the to-do layout I use most after the week is done. The top "writing" section includes not only first draft stuff but also edits. This week I was doing edits for A Snowbound Scandal, and I go back and forth on how to track those depending on my process. Some days I measured how many pages I edited, and other days I check off each chapter as I go. The middle box was one I used for Lemmony Design projects, errands, and miscellaneous posts for Man Candy's audio release. I was also tidying up my husband's new website that I'd recently built. Anything that was "work" in my mind went into this section. The right half of the week was more of the same. Copyedits and RITA book reading, and a few fun going-out type of things. 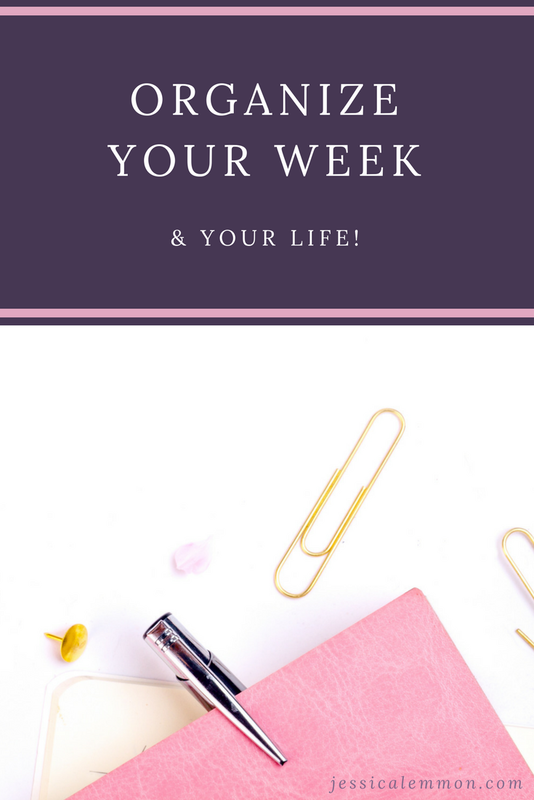 On Sunday (or sometimes I take Sunday off and do it Monday), I review my week, circling the boxes that didn't earn checkmarks and either carrying them over or by drawing little arrow to signify I've moved it to the next week or not doing them at all. This happens to me... a lot. It's one of the reasons I can't tolerate a daily planner. When I jot down to-do's, I plan on doing them sometime during the week. I work best by working on what I feel like working on rather than being being locked into a rigid schedule. Having options goes a long way. Work with your strengths! Here are a few examples of other stickers/washi I use. The llama and the fox are from Hobby Lobby sticker packs and the photos (of Lauren Layne and me with our agent, and our husbands Anth and John yukking it up on the other side of the table at RWA 2017, are Poloroid Zip stickers. Decorate! Optional, but fun. Washi first, stickers after. Fill in the gaps based on the sidebar. If my goal is to do Copyedits, I jot down "Snowbound Copyedits" and a line so I can write down the stopping point (page number) or checkboxes for doing a chapter at a time. NOTE: I don't fill out the entire week because priorities shift and change. I may have a goal to do five chapters but I might do three chapters... or six! I take it a day at a time and then start the next day with a goal based on what I achieved the day before. The last page I'll show you is one from the back of the planner. My planner in particular has a selection of lined, dot-grid, and plain blank pages that act as a section for notes. I don't utilize these pages often, but the "bible" above is super helpful. That's where I keep the color codes for my book covers and website, along with notes about favorite fonts and banner sizes. Since I design my own graphics (and sometimes graphics for other people), as well as my own website, I like keeping this handy. Other note pages include typical trip mileage calculations for quick and easy write-offs (to and from the post office or to and from the office supply store, for example), and a page with my upcoming books that are contracted, delivery dates, and estimated release dates. So that's it! How I plan and organize my life using Erin Condren's hardbound planner. In our house, John knows: If I don't write it down, it won't get done. As I mentioned above, you can save $10 by using my affiliate link. If you're a first-time EC customer, click HERE and start saving. If you have any questions, please feel free to contact me or comment below! Author Branding: Who are you, really? Final title in the Dallas Billionaires Club series!